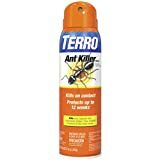 Maxforce Carpenter ant bait gels, granules and stations arm you with a full range of field-proven ammo to eradicate a variety of ants, including killing carpenter ants, in all sorts of environments. And Maxforce keeps working to wipe out the queen and the entire colony with our exclusive Domino Effect. To eliminate ants with unrivaled efficiency take aim with Maxforce. Maxforce Carpenter Ant Bait Gel's new fast control formula still gives you superior long-term control of roaches compared to contact sprays. The new active ingredient, Fipronil, provides a unique mode of action that works through both ingestion and contact, knocking down roaches and ants that eat or simply touch the bait. Either way, one contaminated roach or ant kills many others where they live and breed. The Domino EffectTM still achieves ant control, but with faster visible results.